Being blessed to travel around the world, I’ll be posting about vacations, trips, foods, restaurants, drinks, hotels to stay and checkout while you are on your travels. Enjoy and feel free to share. Over this past weekend we completed our largest training in Nashville for over 7,000 people in attendance. One of the sections that was the main feature of the weekend was when Mike Azcue and Wayne Nugent, Co-Owners of WorldVentures each on their separate keynote presentations went through some of their Core Values that make up what WorldVentures means to them. I just wanted to share these values with everyone as a sign of being at the right place at the right time! Wayne Nugent and Mike Azcue embody these Core Values and pass them along to everyone in their lives, not only for business values but also values to live your day to day life. extension of our brand. Our mission is to bring fun, freedom & fulfillment to the world. related to our ability to deliver our mission to the world. 2. We are one big team. and sizes in alignment with our Core Values. 3. Honor and body and expand trust. Be authentic and transparent. Be congruent in thought, words and deeds. of exceeding expectations. Only represent the truth. 4. Deliver and promote excellence. Have a steadfast focus on providing the highest value and the highest‐quality experience. answers. Be creative in sourcing solutions and seek support when needed. Be humane and compassionate. Promote peace, harmony and love. Give back, serve, add value and make a difference. look for constructive lessons in personal experiences. Always be evolving. actions and gifts. Appreciate and learn from others’ unique differences. 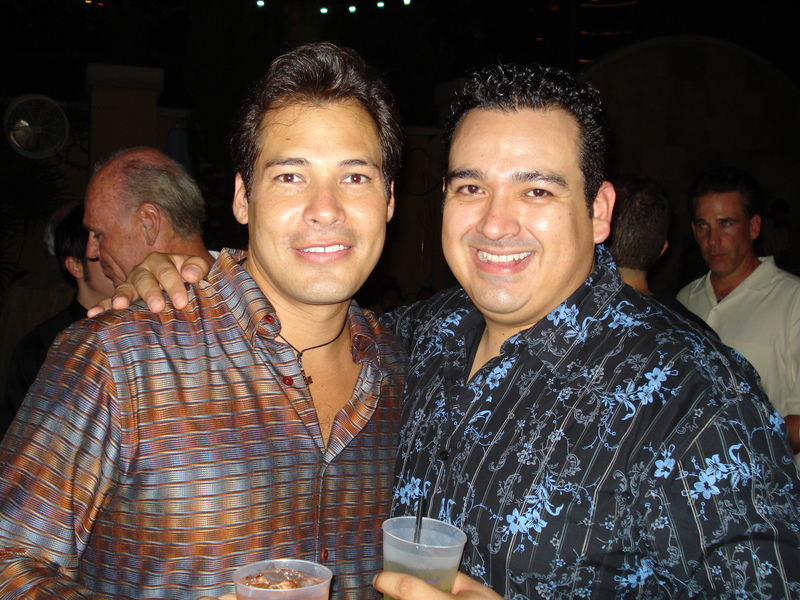 involved in WorldVentures, regardless of their goals or success in business. 8. Embrace creativity and innovation. Imagine new possibilities and change. Change is the only constant. stay on the edge and stay competitive. 9. Foster safe and open communication. at “Point Easy” (i.e., “I’d like to have an open communication with you.”). and often with each other (support, constructive feedback and appreciations, etc.). 10. Insure attainability in mind..
well‐being. Look for ways to do more with less. This is a quote that I had not heard about until I met my very good friend Wayne Nugent, Co-Owner of WorldVentures. I have been very blessed to come across WorldVentures through Marc Accetta being their Director of Training. I’ve seen amazing places throughout the world. 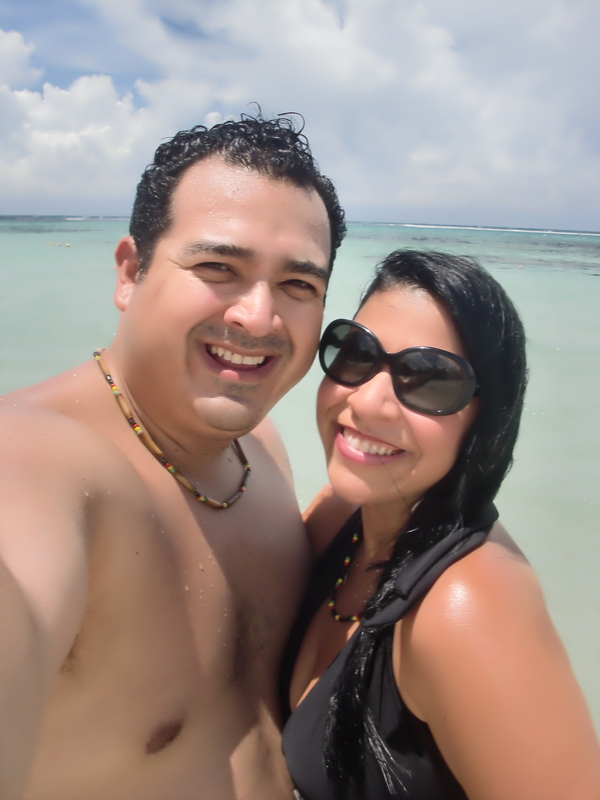 As I am sitting here writing this, my girlfriend and I just got back from an amazing trip out to Ocho Rios, Jamaica. She had never visited any of the islands in the Carribbean Sea nor Jamaica so it was such a thrill for me to be able to give her that first gift of experiencing walking along the sea and putting her feet in the sand and just creating those great memories for her and for both of us. I still remember when I was small my dad getting me this book that had all these pictures of islands and various places throughout the world and just explaining a bit about them and why go there. Growing up we really didn’t take that many vaccations, most vacations were that of visiting family throughout Texas. And it wasn’t until after I graduated high school that I got to do a bit more traveling while playing with the bands I was with. I still remember my first trip to Vegas and just being amazed that everyone was always awake 24/7 or so it seemed to me, I honestly thought that the Lion at MGM Grand was made of 24 karat gold. LOL, but I feel truly blessed that my parents always would let me dream big and never put limitations on how crazy I would think. I was never told that I couldn’t do anything. Not that I was spoiled and given everything I ever asked for, but they taught me that I could acquire whatever I wanted through hard work and persistence. I feel blessed to have such great parents in my life and through their actions also show me that anything was possible. I want to go back and look for that book…because I feel that everything happens for a reason. God placed me right where I needed to be at the exact time in order to experience life at its fullest. I just wanted to write a quick blog to let everyone know that EVERYONE should travel and create great memories with your friends, families and those that are special in your life…Here’s some videos of the places I’ve been lucky enough to visit….make sure and check out my YouTube page at http://www.youtube.com/monicoperez. Let me know some other places that you’ve visited to that perhaps I haven’t gotten a chance to visit. I’d love to know! “To Yelp or Not To Yelp?”…That is the Question! With Social Media sites becoming more and more popular, it’s great when you discover an awesome one that is easy to use and convenient. I had heard about “Yelp” a couple of different times, but didn’t really understand how to use it or what it was for. I figured it was just another site that you could use where people would give businesses stars based on their popularity or that business could purchase ads and get promoted. Well it’s more than that. A couple of weeks when we were on our way back to Texas from LA., we were out on IH-10 around San Bernardino area and I was craving some Mexican food…but not On The Border, not anything commercial. I was looking for something home cooked. So my girlfriend said let me look for something on Yelp. I said OK but didn’t know how it worked, within less than 3 minutes she had like 3 or 4 locations and was reading me off comments that people had recently posted from their visit there. I was like WOW, that’s pretty cool. 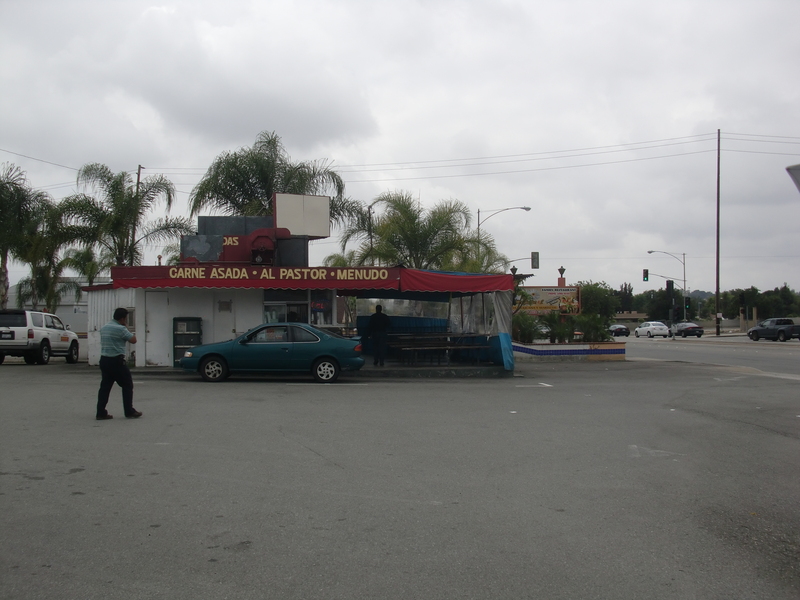 We chose one location in Pomona, CA called Lily’s Tacos! It had great reviews, said that the food was good home cooked tacos and burritos. Within 10 minutes we were at the location and ordering food. It was awesome. I would have to say that this has been some of the greatest mexican food that I’ve had. Now I am not writing this blog to rant and rave about this place and so everyone can stop by there while they’re in Pomona or traveling on the IH10…although I would strongly recommend this place and yes they are that good! But I think that everyone should Yelp, if not to give your feedback if you find something good that you recommend for others but also to help out those smaller restaurants that are possibly barely getting started or don’t have the money to buy a radio ad, or newspaper ad and need the exposure to make it. I think it’s kinda like free advertisement for those businesses that don’t have a lot of money to put back into their establishments but still provide high quality and great service. I am now committing to Yelping whenever I get a chance to…and hope that you do the same! Travel Tips: How to mind your manners abroad! While we are sitting here at the British Airways Executive Lounge awaiting our flight to South Africa we came across some kinda interesting and a bit funny information, well not we but Marc Accetta my friend/mentor for over 10 years was reading it and telling me about it and I found it online and figured I would share this article for everyone to just have a bit more info when traveling around the world…Enjoy and please let me know of other gestures that might help others stay out of trouble!!! Frequent business traveller Scott McKain learned a valuable lesson many years ago about etiquette abroad. On a trade mission in Brazil in 1974, McKain’s mouth was full at a welcome dinner when a local mayor asked whether he was enjoying his first Brazilian meal. McKain made an OK gesture with his thumb and index finger—a gesture akin to extending a middle finger here. Since that first trip abroad at age 18, McKain says, he studies the customs and etiquette of each country before arriving. Many travellers like McKain have made a faux pas in another country. Such a blunder can be embarrassing and insulting—and even damage a business relationship. “A potential mistake in business ultimately has higher stakes, and perhaps more sensitivity, than a traveller who flubbed an interaction one-on-one with a café worker or laundromat attendant,” says Robert Reid, U.S. travel editor for Lonely Planet. • In Mexico, whenever you catch the eye of someone who’s eating—even a stranger—it’s good manners to say, “Provecho,” which means enjoy. • In Sweden, it’s considered vulgar to clink glasses unless you say, “Skals,” which means cheers. • At a pub in Australia, it’s customary to buy a round of drinks for everyone in your group. • In Russia, a 10 per cent tip is customary at a restaurant. Prices in stores are usually firm, but it’s OK to make a bid somewhat lower than a merchant’s price at markets and souvenir stalls. • In Greece, don’t wave to anyone with an open palm. And don’t show your palm, though you might think to do so when gesturing for someone to wait or hold on, or showing the number five. “It is essentially the way one flips someone the bird in Greece. But, more than that, it states, ‘I reject you,’ ” Lonely Planet says. • Travellers to Thailand shouldn’t be alarmed if locals pick their noses while talking to you. “It’s considered a natural act of good hygiene,” Lonely Planet says. • In the Caribbean, address people with titles such as “mister” or “professor” until a first name is explicitly offered, Lonely Planet says. Common oversights include not bringing a gift made in your home country for a first meeting with a client, not saying good morning, good afternoon or good evening and not expressing interest in a country’s history and culture, Sabath says. Other faux pas are taking a foreign client to lunch and talking about business, and assuming that a handshake rather than a kiss or bow is an appropriate introduction, she says. McKain, who insulted the Brazilian mayor on his first trip abroad, says he always learns how to say “thank you” in the language of the country he plans to visit and always apologizes about his lack of fluency. “It is remarkable how wonderful people can be when you have a humble and sincere desire to learn more about their culture and are not reticent about doing things their way,” says the author and speaker. Work Hard, Play Harder…Italian Style! WOW….What a Start to the Summer!!! Hello everyone…..I know, I know…I haven’t written on here in such a long time. But just so much has been happening at a rapid rate that I hardly even have time to get on here and write. but I will be posting more and more frequently. Well since that last time that we were on here alot of awesome, fun stuff has happened. To kick off May, my boss and I went on a Wild Turkey Hunting Trip. 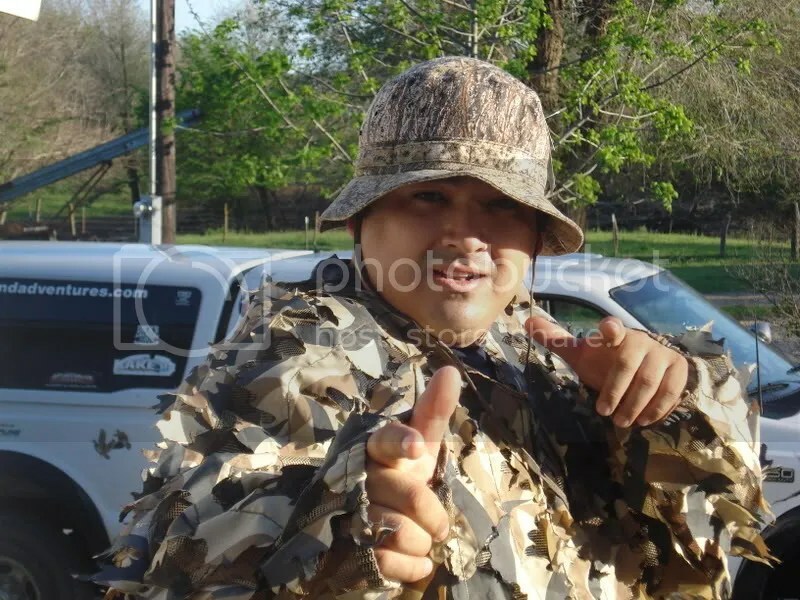 Which first of all for those of you that have been around me or gotten to know me, me going on a hunting trip causes a bit of a chuckle on it’s own. 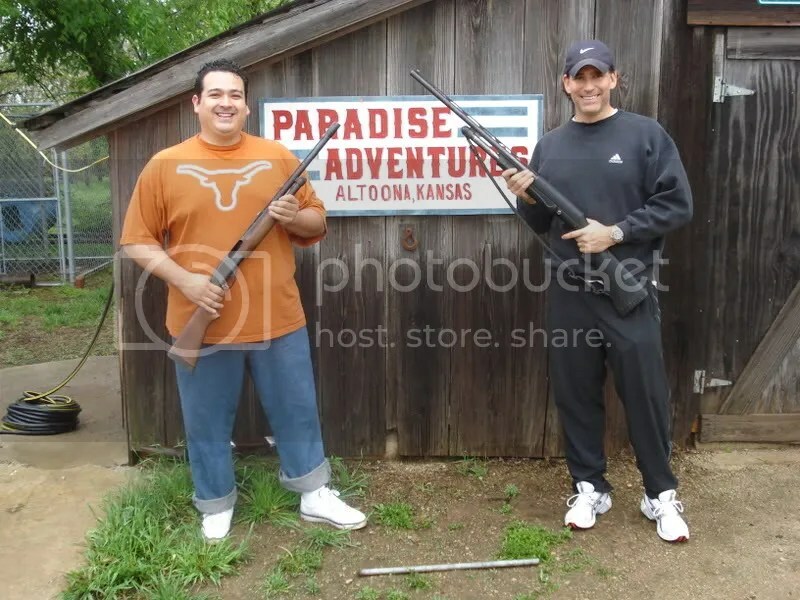 But yes we went hunting for a week at Paradise Adventures in Altoona, Kansas. From the moment we got there it was fun and interesting, the fact that people actually pay money to do this and do it often as a sport, I was shocked! First of all we get there and then do some target practicing which was fun, then they advise us that we have to wear this stuff called Rhino Skin cause there is a 100% chace that we are going to get ticks on us….I was like TICKS…WTF? So we get this Rhino Skin, then we are told that we have to wake up at 4am and get ready to head on out. We get to the destination which is like 20 miles away from where we are staying. We then get off and start walking and walking and walking but we can’t talk because Turkeys have a keen sense of hearing and sight. So we had to be very quiet walking through farmland fields thoughout Kansas with all this equipment, guns, ammo, and lets just say it wasn’t what I had signed up for. But I was there looking forward to hunting a turkey, then we find a site where we are going to hunt so I get ready, and the guide tells us well you have to sit here I’ll cover you up with branches and then we wait for them. Well that conversation took place at 5:00am, at about 8:30am he lets me know that we might have to move elsewhere, as soon as we get up, like 5 turkeys fly away from behind us, so we now have to hike some more and find another spot. Needless to say I waited on them turkeys for 4 consecutive days , woke up each day at 4:00am and got back at 7:00pm, hiked well over 50 miles and shot my gun once and yep you guessed it, the only turkey I ate was from a sandwich at a convenience store that I picked up on my way to Phoenix but, NO TICKS….YAY. LOL. It was a great experience and I think that I might do it again, but not like every year. 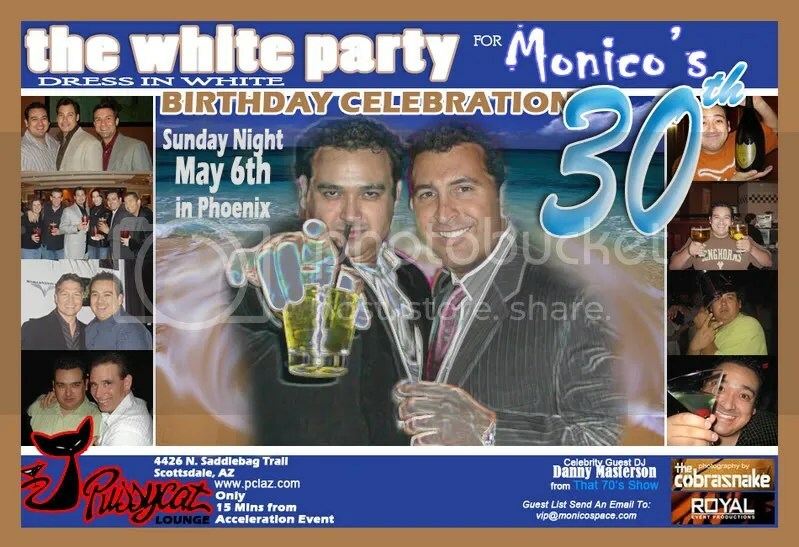 When I arrived in Phoenix, I was very excited and anticipating my big 30th birthday party that we had planned out at PussyCat Lounge in Scottsdale, AZ. We had Danny Masterson(aka Hyde from That 70’s Show) and Steve Aoki as guest DJ’s. And all weekend long it was just building up to that. 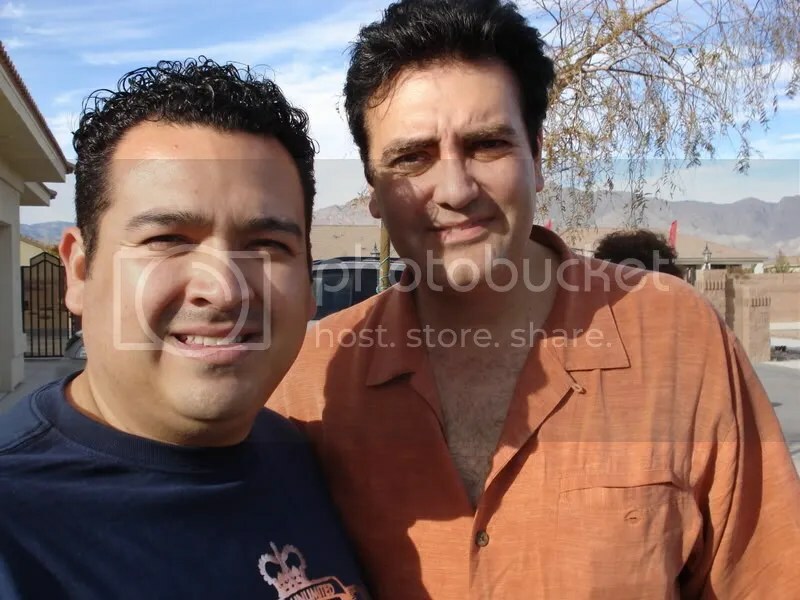 Reason for having it in Phoenix was that was the dates in which WorldVentures was having an Acceleration Training there, which on its own was a major event, we had well over 1200 people on the first night where they had to do 2 meetings on that same night. Truely unbelieveable but when you’re hott, you’re hott and right now WorldVentures is HOTT!!! So as Sunday night approached, we had themed it out with it being a White Party….so we got everyone ready and had 6 white limos waiting on us to take everyone to the party. I obviously had the VIP Limo in the front, with Robert Oblon, Marc and Kelly Accetta, Dave and Yvette Ulloa and Jefferson Santos, Kari and Lisha (Twins), Eddie Head and our video guy Ben Hogan oh yeah and my first bday gift of a Jose Cuervo Tequilla bottle, so we had to toast to a great night. As we arrived at PussyCat Lounge there was already several people there waiting on us to get there and start partying….The night went on and it was a blast we had over 100 people in attendance, Shawn Marion from the Phoenix Suns who was also celebrating his BDay, came over and was like man what are you doing over here, you have all the girls….LOL, I told him that’s what you get for losing to the San Antonio Spurs…LOL!!! Which I am not a Spurs hater, I just wanted the Dallas Mavericks to do something other than pretend to play basketball towards the end. But the night was a blast we had 9 VIP Tables and tons of my friends there, we were able to get it all on video so be looking for that very very soon. A big major Thanks to Robert Oblon for setting everything up for that night, I literally didn’t have to do anything just show up and have a good time, which wasn’t that hard to do. I also will be starting a new website called www.MyVIPNation.com, which will focus on what I love doing which is having fun all over the US, setting up people with VIP Concierge services all over the nation so be looking out for that. From there I came back to Dallas for a brief stop on my way down to Del Rio, TX , for my sister Rocio’s high school graduation. Which was cool to go down and see her graduate, I am very proud of her and hope her the best as she goes on to college and what not. So that was cool going down and seeing my family and friends and hanging out with my family. So things have been very busy, traveling, working doing trainings with Marc Accetta and working on getting his new training website up and running. It is awesome to be able to work with someone that helps you achieve balance in your life. His main goal is on teaching and having people understand on how to achieve balance in all areas of your life spiritual, mental, physical, emotional, financial and social, which I don’t think I am lacking in that one. LOL, But I have really started focusing on my physical right now and got a personal trainer and have been watching what I eat and just looking down the road at being healthier overall. Which is quite a change, especially with my schedule of being on the road and traveling sometimes exercise was the least of my worries but it’s just a matter of making time for it and prioritizing it. So things are going great. And I am looking forward to getting some more info here and getting my site launched…till next time…Keep on having fun and loving and living life!!! Once we arrived in Las Vegas, it was fun, fun, fun, till obviously the convention, but till then we got a chance to go out and hang at one of my favorite clubs in Vegas, PURE @ Ceasar’s Palace. If you ever want to see what happens to all the money people lose on hands and slot machines, go into PURE and you’ll why not only are they one of the hottest clubs in the U.S. but also how in one night of gambling the entire club was paid for. From there it was off to see some sites down on the Las Vegas Strip, including the Bellagio fountains, The Mirage, MGM, all those multi billion dollar casinos. 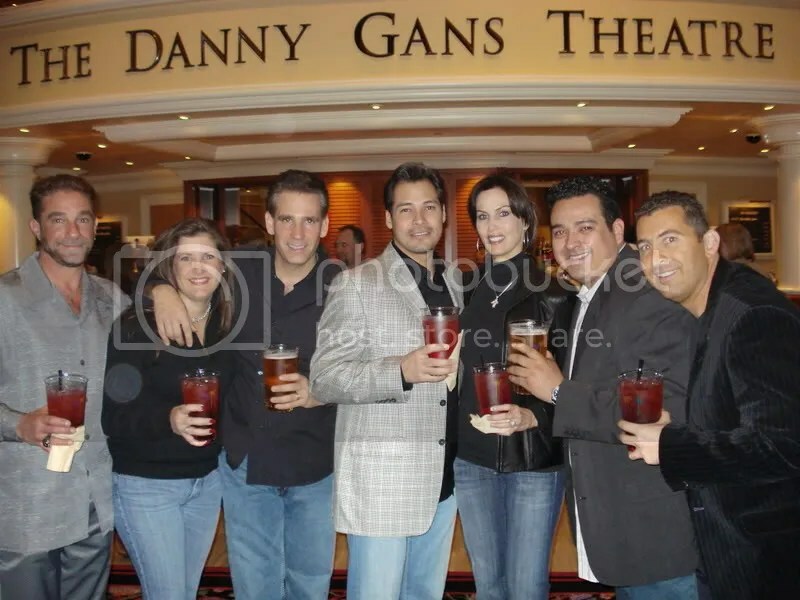 On the next day, Thursday, my boss and some of the owners from WV got together to go watch the Danny Gans Show…man is that an awesome show to go see, I had been to Vegas about 12 times and never imagined that there was something I hadn’t seen but he is entertaining, funny, just an awesome show to go and watch. The next day is was work, work, work…and that was the case pretty much for the majority of the weekend, WV had their Annual Convention which attracted close to 1,200 people in attendance and a couple more hundred that were staggering in to be blown away by the technology, travel vendors and other news that were announced by Mike Azcue, Wayne Nugent, Robert Oblon and Dan Stammen, now known as the DreamTeam. Marc Accetta, WV Director of Training, once again hit a home run and blew people’s minds away with doing one of his characters from A View from the Edge which is a life altering training that everyone should go through at one point in their lives that show will be occuring in November of 2007. Friday night, we saw the amazing talent of Hypnotism as done by Marshall Sylver, which was an awesome show. Saturday night we had the opportunity to visit Rick Thomas, extraordinary magician, he did a special show for the WV group which was freaking amazing some of the stuff he did on stage, still has me wondering how he did that. As the weekend came to an end, there was still a buzz throughout the air of A View from the Edge and all of the great stuff to come in 2007. 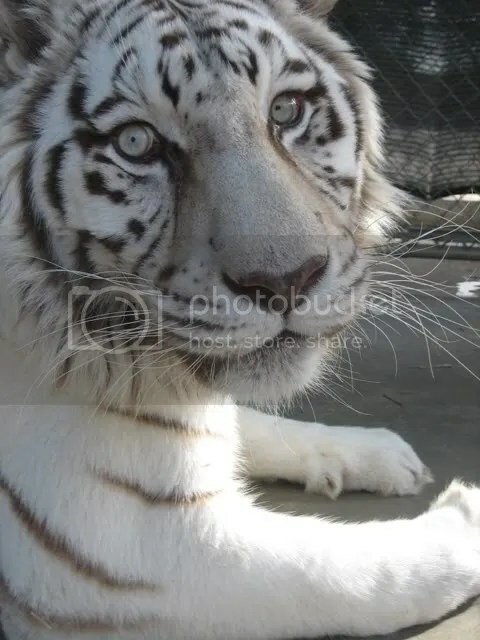 Sunday afternoon a special group gathered together to visit at Rick Thomas’s house in Las Vegas and see his amazing habitat for his white tigers and other special animals that he has and uses during his shows, Wow was this a treat!!! Sunday night we all went out and hung out for some much needed beverages and some downtime just hanging out and having fun and partaking in what Las Vegas has to offer. Las Vegas is a great city, never seems to disappoint anyone who visits there for either their first time or their 20th time, there’s always something new and exciting right around the corner for anyone’s liking.